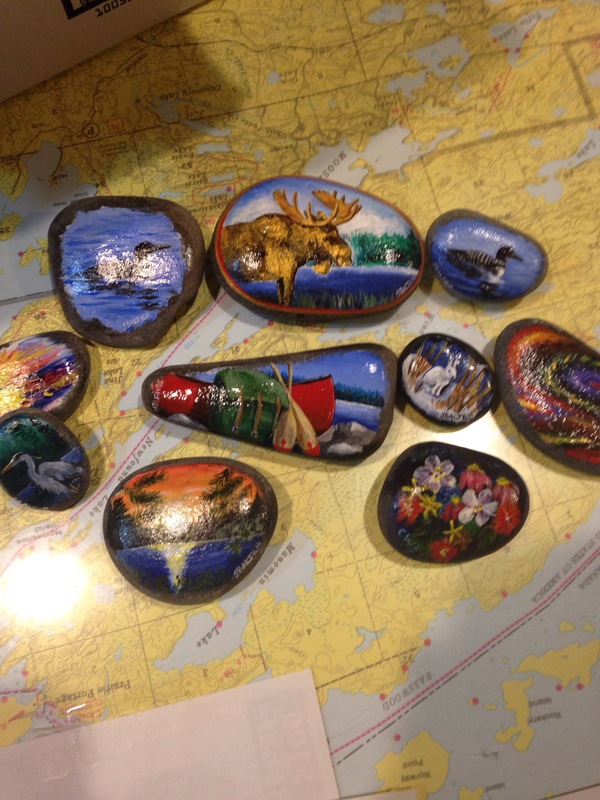 Future Plans for Into The Brush, Inc.
Find a fine art stone stashed somewhere in Ely. Painted by Joe Baltich of Into The Brush and Connie Edwards, artist in residence at Northwind Lodge. Find one & you can keep it or re-hide it. Either way is good! Find The Golden Moose and redeem it for a $25 Red Rock gift certificate and a FREE private art lesson with Joe -a $50 value! Please post pic’s or your find in What’s Up Ely MN and Ely MN Rocks in Facebook. That way we’ll know if all the rocks were found. Have a great time starting September 9, 2017 in the morning. 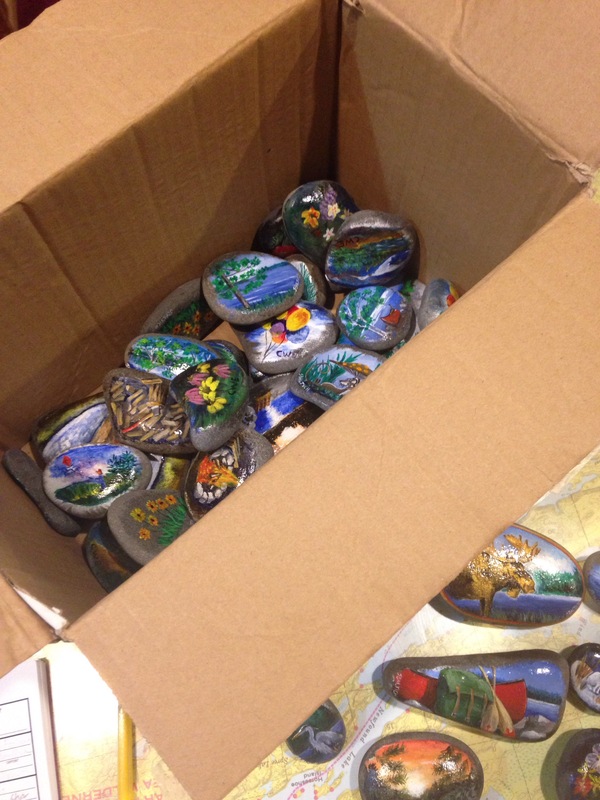 Good Luck rock hunting ! Let’s Paint! Mobile Paint Party up and running!